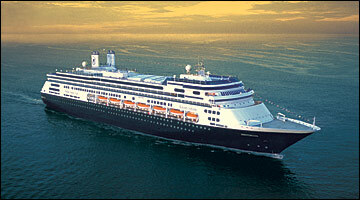 Holland America Line has been a recognized leader in cruising, sailing to exotic destinations around the world. If you are looking for some of the most spacious and comfortable ships at sea, award-winning service, five star dining, extensive activities and enrichment programs and compelling worldwide itineraries, youve come to the right place. From the moment you step aboard one of mid-sized ships you will recognize the Holland America Line difference. They sail with nearly one crew member for every two guests, providing the gracious, award-winning service that defines classic cruising. Ships feature spacious wraparound teak decks, panoramic views, abundant spacious private verandahs and large staterooms. All Holland America Line ships have recently completed extensive Signature of Excellence enhancements to staterooms and public rooms. With elegant fine dining and enriching activities, welcome aboard a Holland America Line ship and discover timeless cruising, refined for a new generation. From the sun-kissed beaches of the Caribbean to the beauty of the Canaries, the tranquillity of the Mediterranean to the awe-inspiring scenery of the Norwegian Fjords, or the history of the Baltic to remarkable journeys around the world; you will find a cruise destination to suit you.